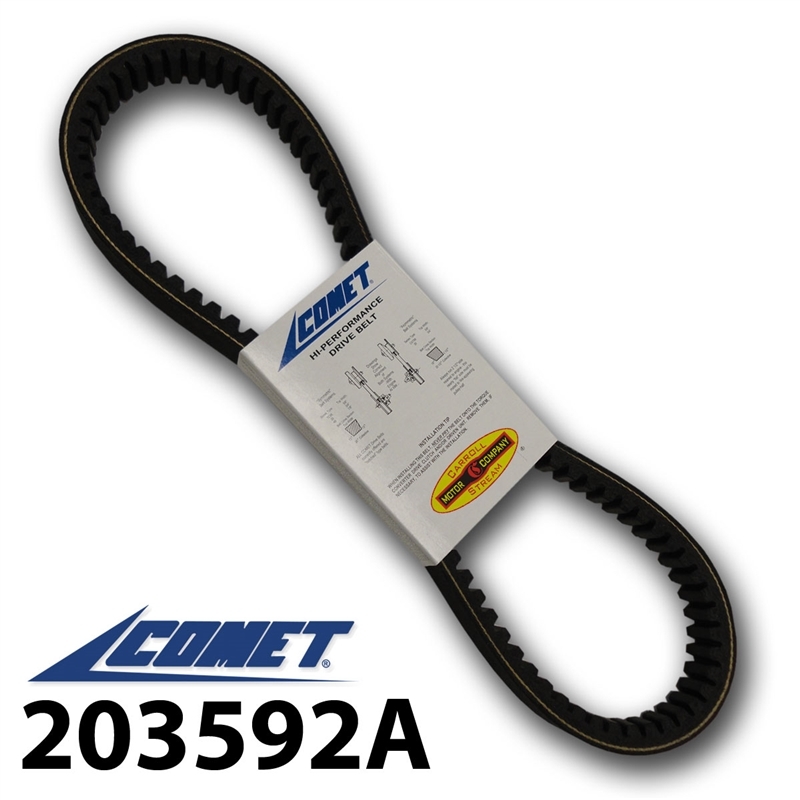 Comet 203592A Go Kart Belt. Replacement belt for Comet Industries 30 Series. COMET 203592 and 203592A. This Torq-a-verter belt measures 3/4� Inch Top Width (.75 inch) x 30-1/4� (30.25) Inch Length. Asymmetric Cogged belt. For use with 30 Series. This Drive Belt is a common Go Cart belt, Golf Cart clutch belt, and Mini-Bike drive belt.